West Nottinghamshire College has appointed a new independent Chair of Governors. Sean Lyons officially takes on the role heading up the new-look corporation board, which has been bolstered by a string of recent appointments. 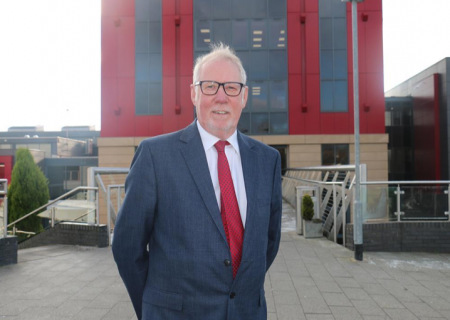 He succeeds Nevil Croston, who stepped down in December 2018 after almost five years in the role. Lyons, who has more than three decades of experience in the steel and manufacturing sectors, has held high-ranking positions at some of the world’s leading steel firms. He is also a former NHS chairman, having headed-up the board of directors at Sherwood Forest Hospitals NHS Foundation Trust. Mr Lyons adds that he and his fellow governors, together with the senior management team led by interim principal and chief executive Martin Sim, will do everything in their power to return the college to a stable financial footing. He insisted staff will continue to be “treated with dignity and respect” during a difficult restructuring process. Lyons lives in Worksop, Nottinghamshire, with wife Samantha, with whom he has three daughters Rachael, Jessica and Hettie.